Unlock Sony Ericsson Xperia M - Safe IMEI Unlocking Codes for You! Unlock Sony Xperia M Handset! In case your Xperia M doesn't ask for the code and there is no designated field to enter it, please DON'T PLACE ANY ORDER, contact us first for support. 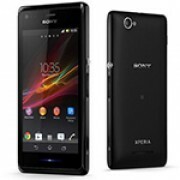 Start to unlock now your Sony Xperia M mobile phone and use it with Any GSM SIM Card worldwide! Our codes works for the latest models including Sony Xperia Arc, Xperia Play, Xperia Pro, Z10 and many more! Check out here The Full List of Sony! How to Unlock Sony Xperia M Phone - Tutorial! Here is a step by step guide in order to unlock your Sony Xperia M .
Do you offer discounts every code request? Hi Rob! Yes, we have discounts available. Please email us for more details. Thank you!